Tekken 7 is finally on consoles after a long run in Japanese arcades. It’s the first Tekken game with an elaborate story mode, inspired as usual by NetherRealm’s innovations of sorts with Mortal Kombat 9. 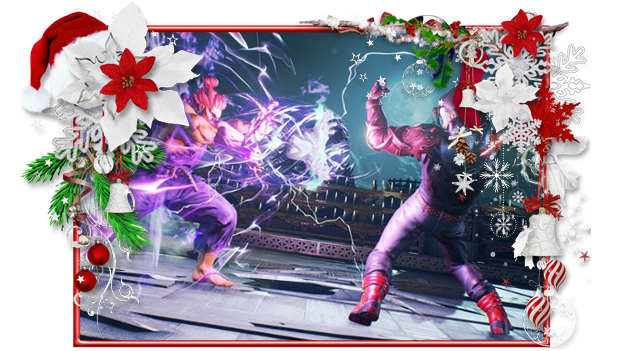 Similarly, Tekken 7 largely presents itself as a celebration of the whole series, with a ton of bonus gallery-like features that lets fans peruse tons of content from throughout the series’ history. This is the ultimate release for Tekken fans. Fans of Tekken should love Tekken 7. There’s a ton to do, the roster is better than ever, and many of the new mechanics add even further to the depth and options players have at any given moment. The Treasure Battle mode and unlockable customization items add tons of hours and silly fun to Tekken 7’s shelf-life, and the unlockable gallery items show a level of care and dedication to Tekken as not only a franchise IP, but a long-lasting art with an important, meaningful history. You can play it on the PlayStation 4, Xbox One, and PC.